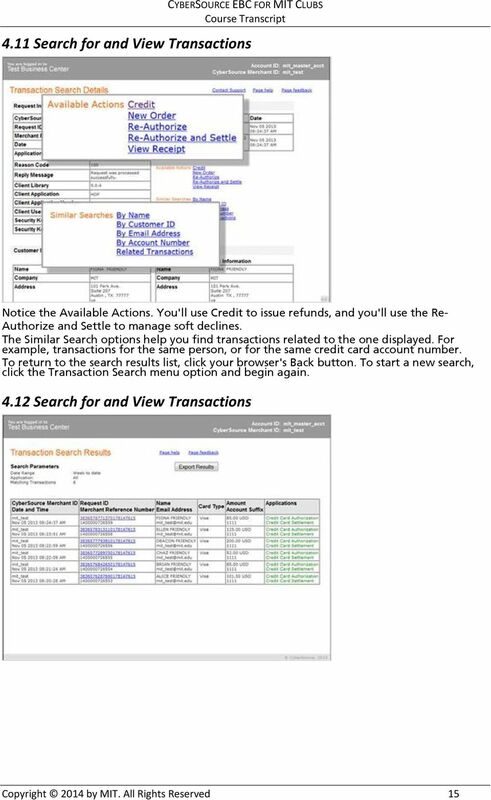 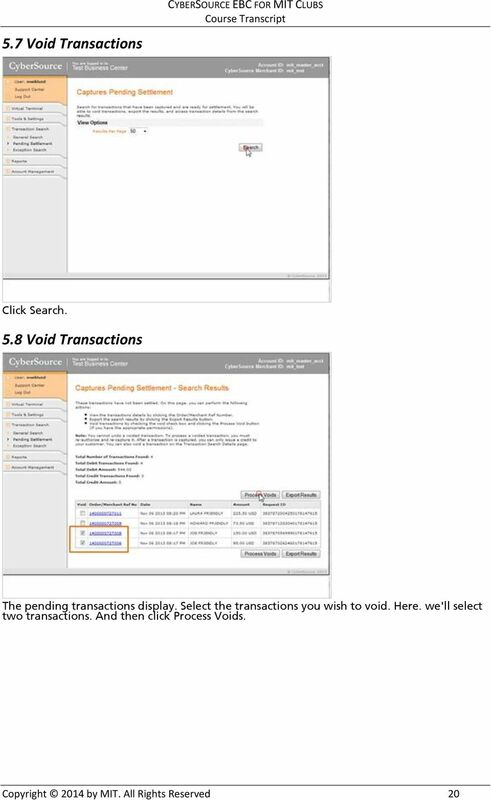 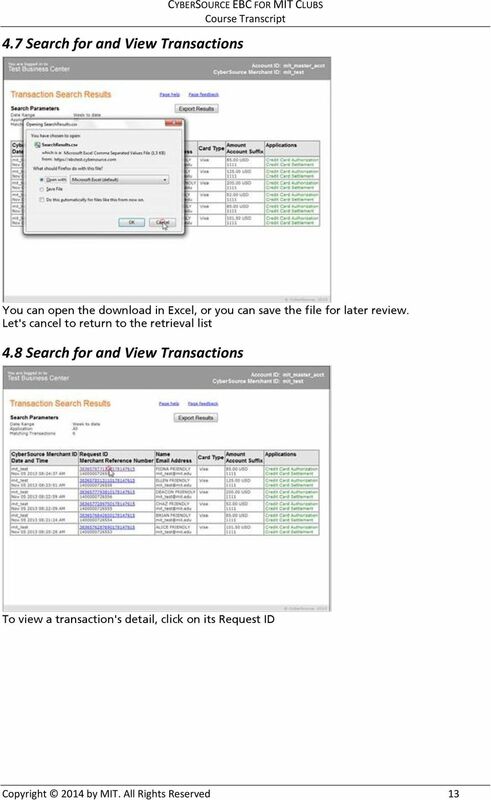 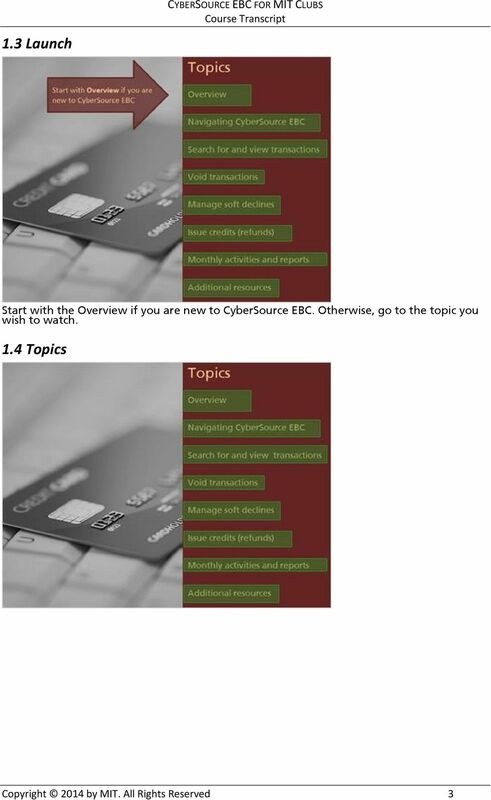 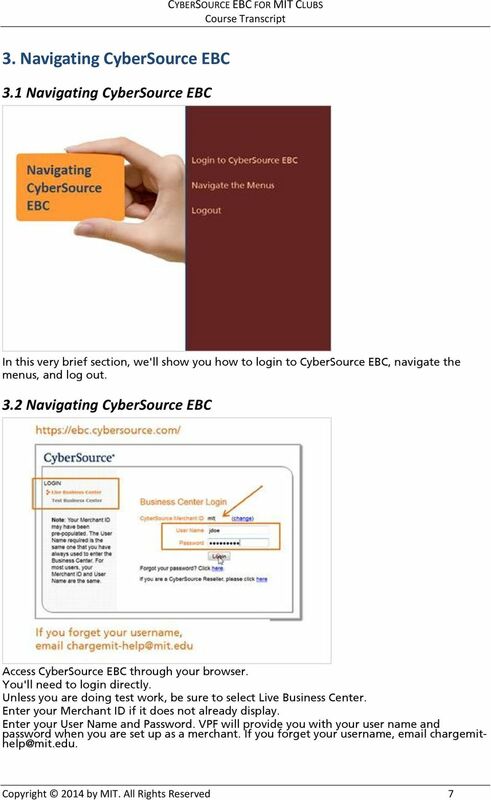 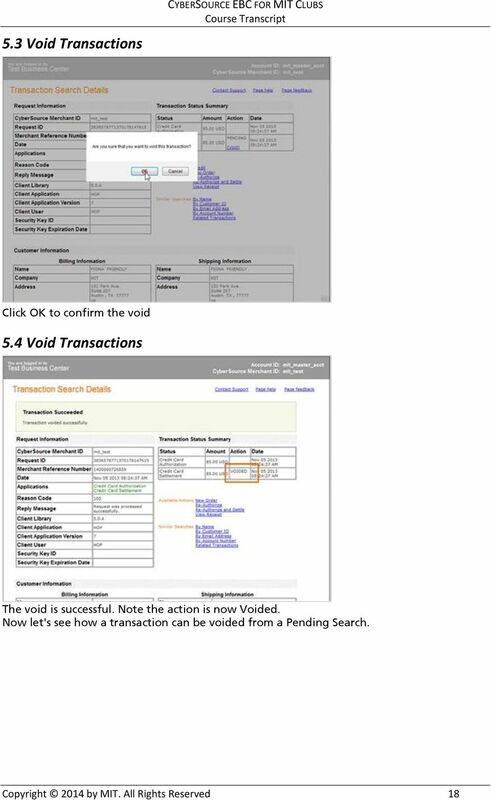 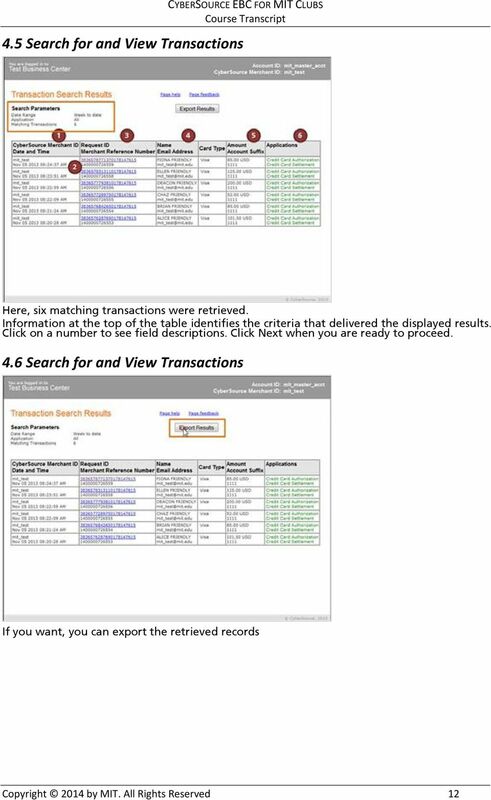 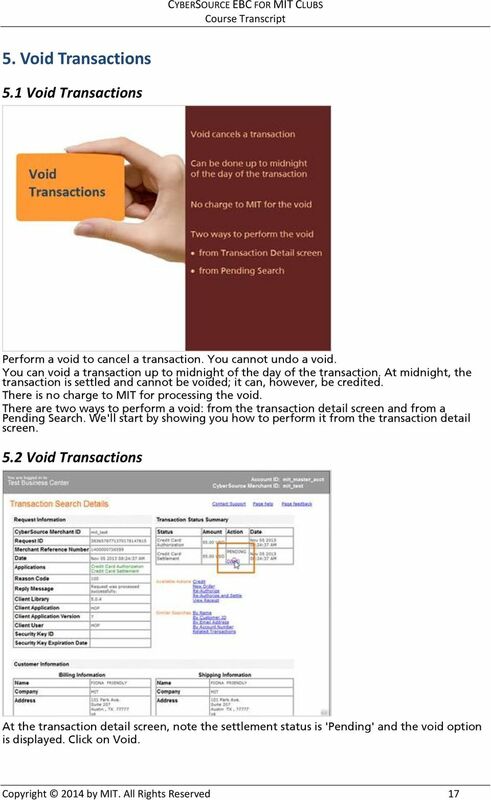 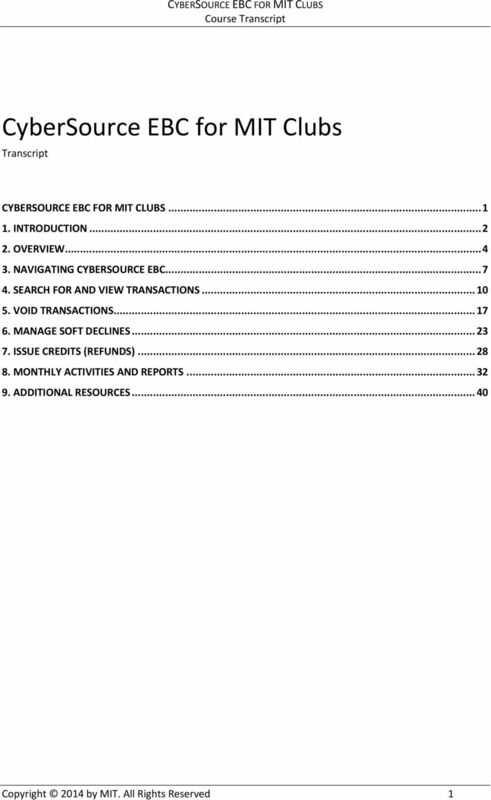 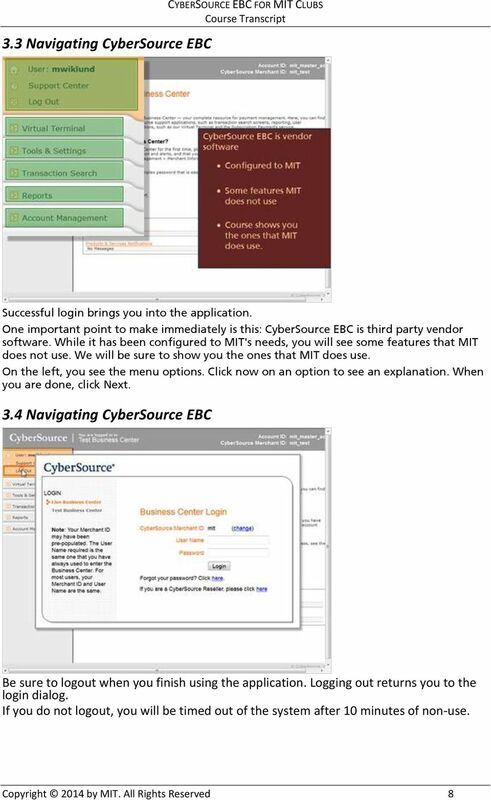 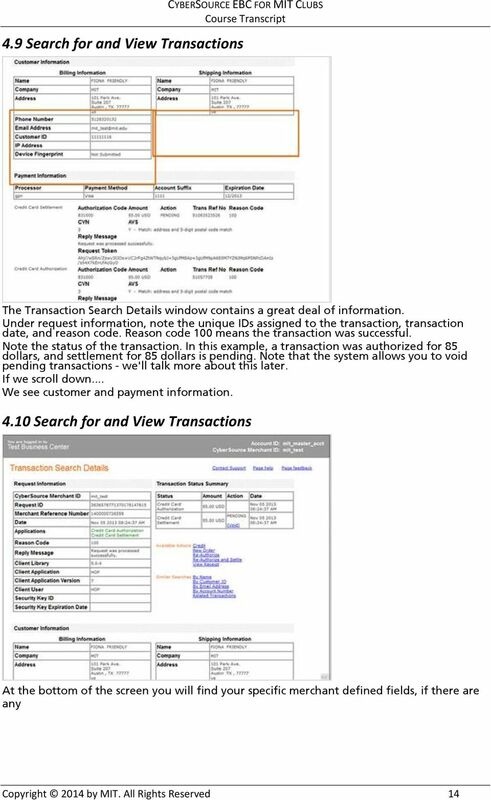 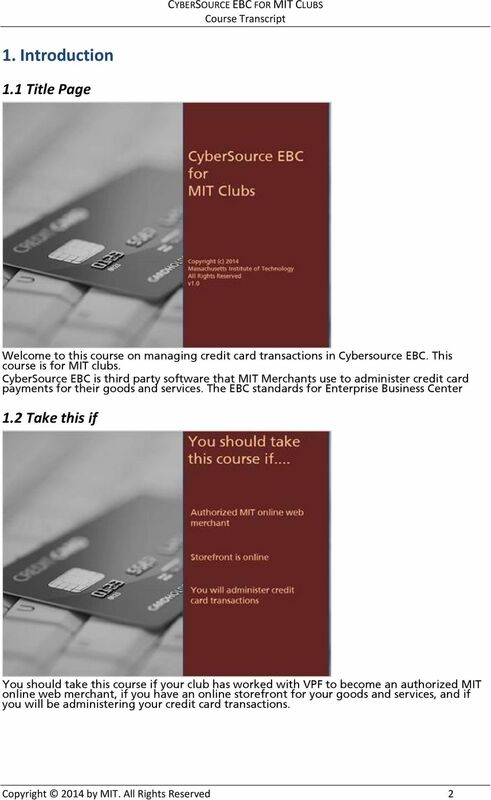 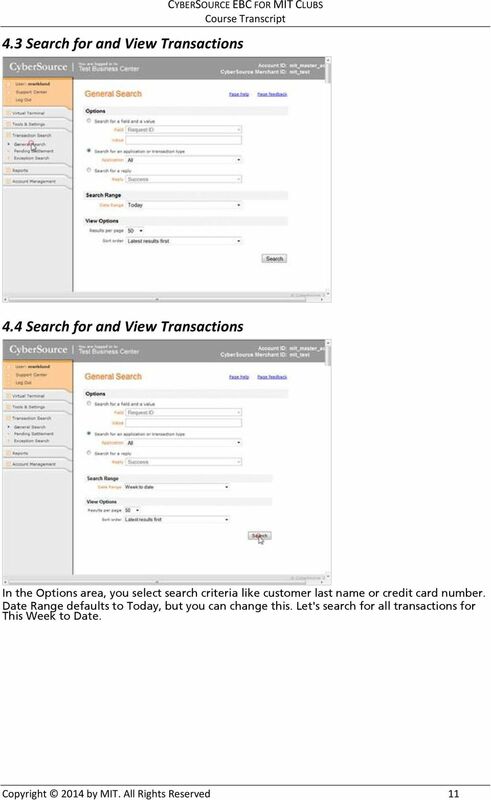 Download "CyberSource EBC for MIT Clubs Transcript"
Accessing and using ClientLine ClientLine allows you to view detailed card transaction data and makes it easy to generate reports. 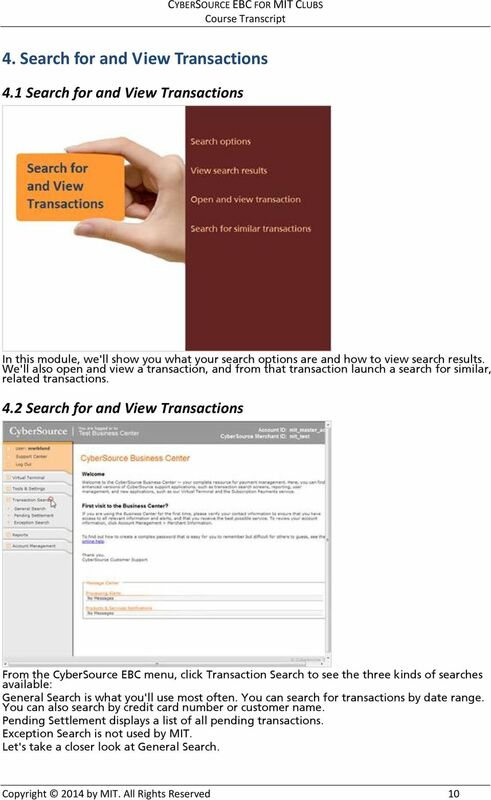 It provides valuable insight into your business and customer behaviour. 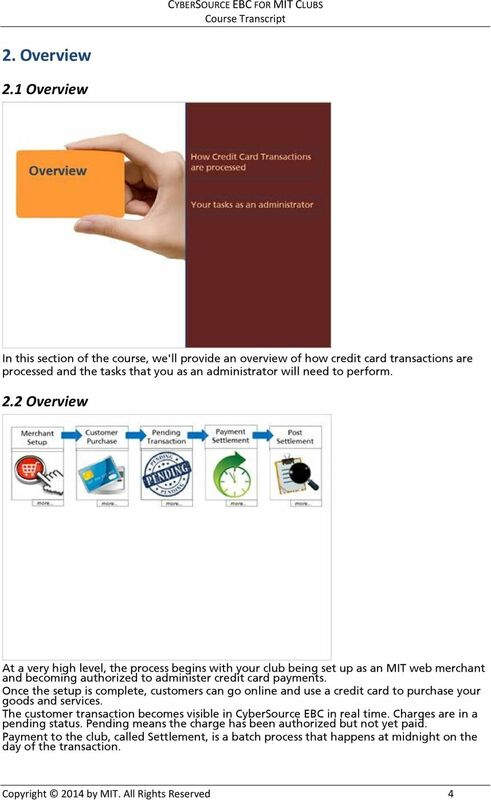 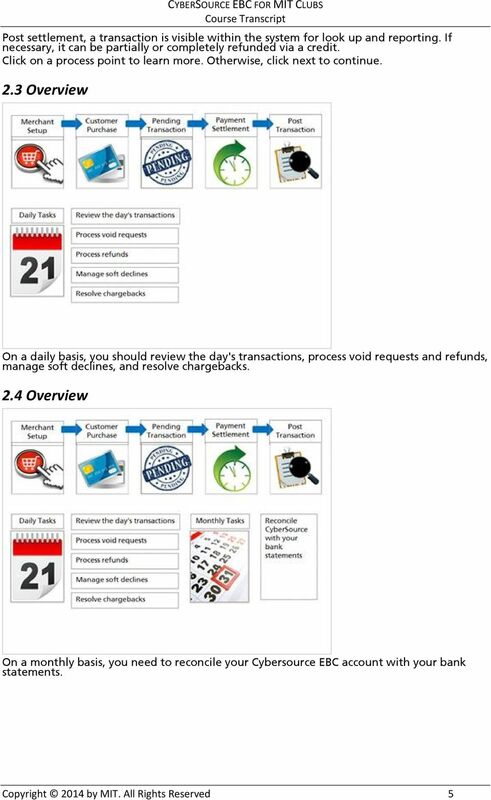 Adyen Merchant Manual. Version 1.10 Adyen B.V. 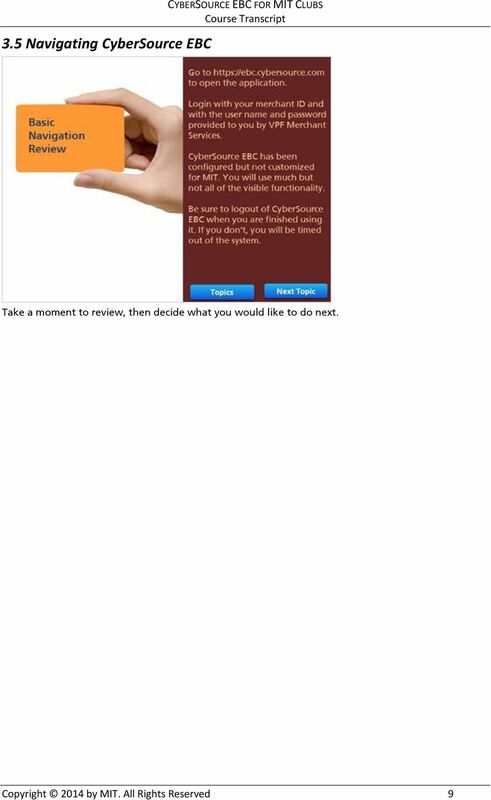 SAFE Web. 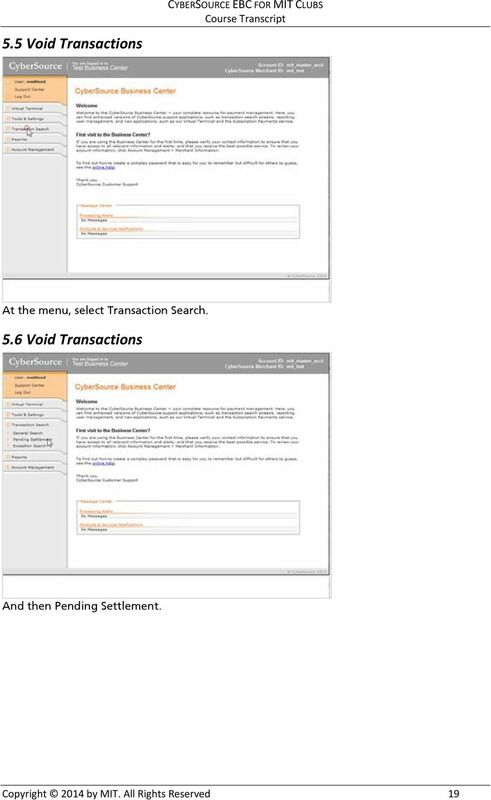 Only State Authorized computers should connect to the SAFE Web system.